Detailed planning permission has been granted in Portishead for our first K:Port – the sustainable neighbourhood EV charging hub. 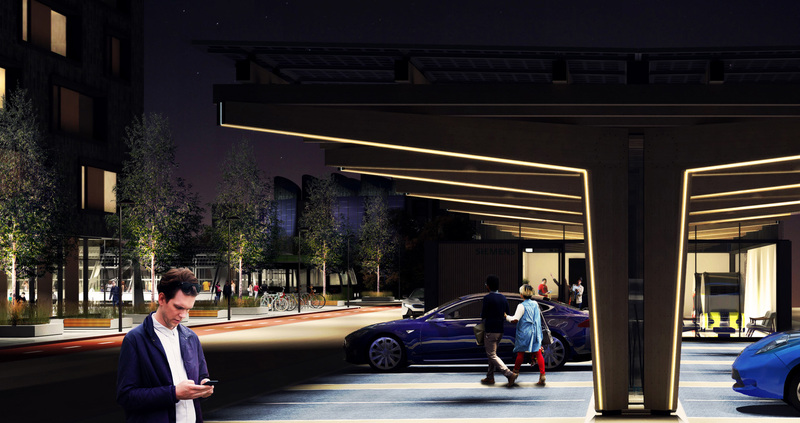 Designed for sensitive urban locations where visual impact is key, K:Port offers a safe, secure and accessible solution to rapid EV charging, within an energy and resource-efficient package. Please watch our K:Port video or contact us for further details. Hewitt Studios are pleased to be presenting K:Port at the LEVEL Electric Vehicle Charging Innovations – Industry Showcase event at Nottingham Council House on 28th June 2018. At this conference industry speakers will showcase new hardware and software EV charge point innovations that will improve the customer experience and contribute to the delivery of charging infrastructure across the UK. The conference will also consider what can be learnt from the European experience of rolling out charging infrastructure at scale. A glimpse of the future is coming to Portishead with plans to build the first of our K:Port electric car charging stations. 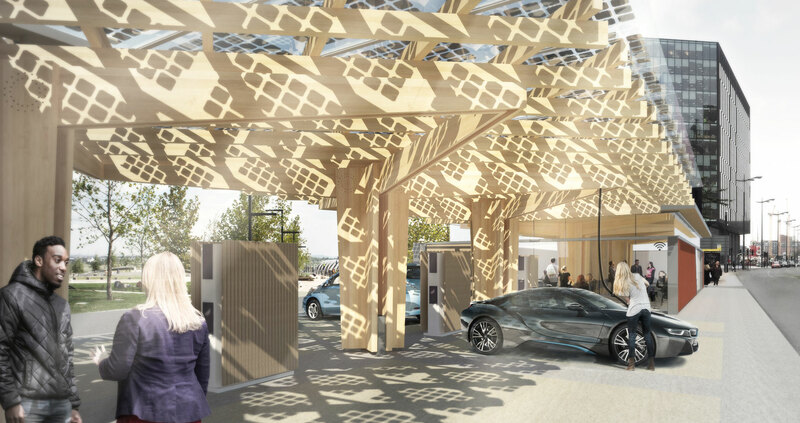 The four-vehicle Demonstration Charging Hub aims to give residents and visitors in the North Somerset area a taste for what it would be like to dump the diesel and switch to electric, offering rapid 50kW charging which takes around 30 minutes to top up a typical EV battery. The proposals are part of the Go Ultra Low West project, which is a joint government and industry campaign to help motorists and fleets understand the benefits, cost savings and capabilities of electric vehicles on the market. The Department for Transport Office for Low Emission Vehicles (OLEV) has given North Somerset Council £370,000 to design and build the K:Port as part of a larger package of works within Go Ultra Low West project in partnership with the West of England authorities. Working with the Trustees of Freshford Village Memorial Hall, we have developed proposals to enhance, modernise and extend the existing Village Hall, providing a welcoming and attractive multi-purpose focus for local community activity within an extraordinary rural setting. 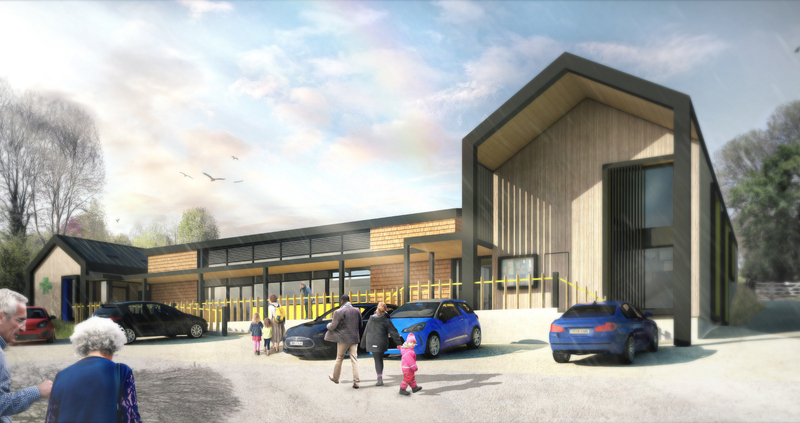 The project will significantly improve and ensure the long term viability of a building which acts as the community hub for both the villages of Freshford and Limpley Stoke. Development permission for the project is sought under a ground-breaking Community Right to Build Order (CRtBO) – a democratic process by which the community decide whether approval will be granted via a local referendum. This is the first time a CRtBO has been undertaken within the region. Full details of the of the proposals and process can be found on the Hall’s website. 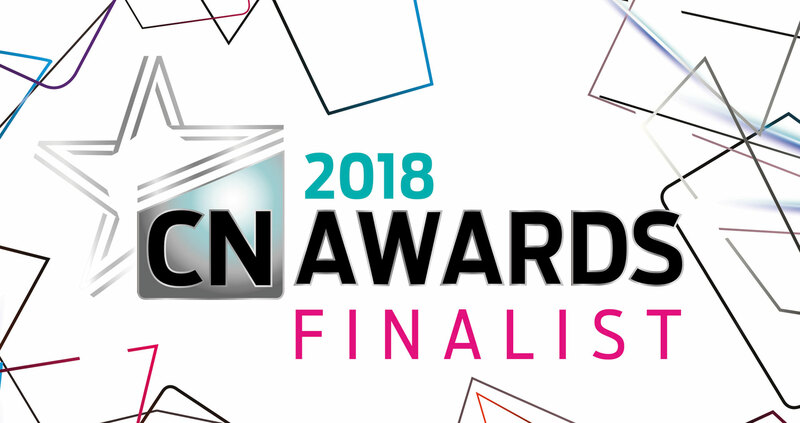 Fantastic news that our Berkeley Green UTC and Skills Centre projects are finalists in the 2018 CN Awards. Undertaken for SGS College, with Kier Construction Central, the new Berkeley facilities are shortlisted for the Project of the Year Award in £15m-£30m category. The winners will be announced on 12 July 2018 at the Grosvenor House Hotel, Park Lane. Hewitt Studios are the first partner for the Sustainable Technology Business Acceleration Hub (STBAH) at the University of Bath Innovation Centre. 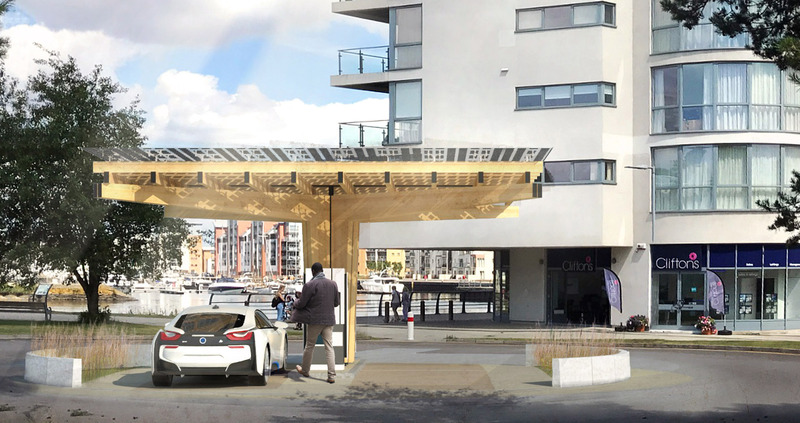 We have signed up to the Business Acceleration programme with our K:Port concept, an Electric Vehicle Charging Hub (EVCH) designed to offer safe and sustainable EV charging with integrated cafe / education space. To learn more about the concept take a look at the K:Port video here. Also supporting the programme are Low Carbon South West. “I have worked with the team from Hewitt Studios at various events throughout the West of England and have followed their progress on various projects and products – they are always sustainable and incredibly designed. 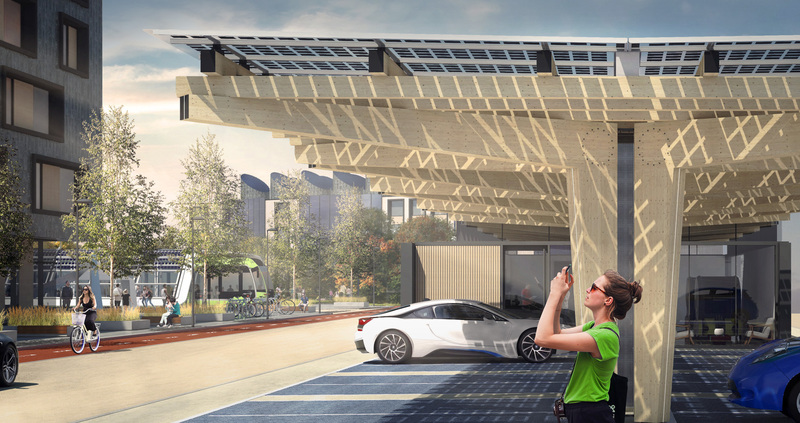 The K:Port is an exciting innovation on every level and the concept doesn’t just take into account providing infrastructure for charging electric vehicles but also the longer term benefits of beautiful and thought-provoking design, renewable energy generation and low-impact and reusable materials. Its great news that they have been accepted on the Business Acceleration programmes and I can’t wait to see the K:Port becoming wide spread as part of the urgently required sustainable infrastructure in the UK and beyond.” said General Manger, Matt Trudge from Low Carbon South West. The Sustainable Technologies Business Acceleration Hub (STBAH) Programme is funded by the European Regional Development Fund (ERDF) to provide free business acceleration support to start up and scale up companies in the west of England area; Bristol, Bath, South Gloucestershire and North Somerset. The programme will offer a portfolio of targeted and tailored resources to help high-growth companies grow even faster, and offer workshops for start up companies with access to investment, customers and research and development grant funding. For more information about the programme and to submit an online expression of interest form, visit the website https://www.stbah.org/. 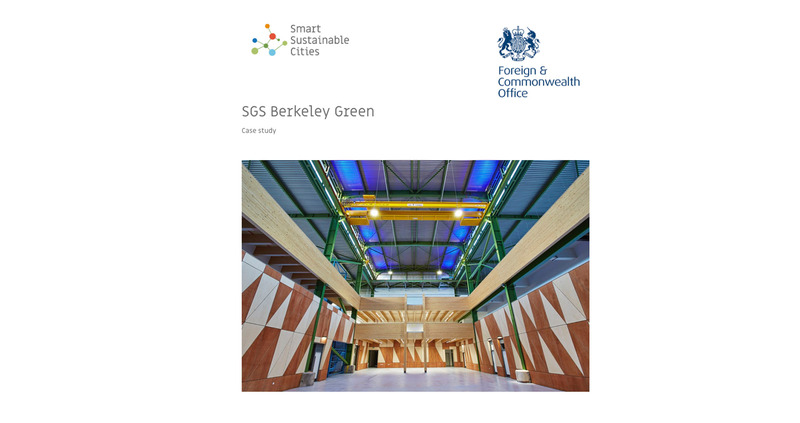 Our SGS Berkeley Green and K:Port projects will be showcased at a Foreign & Commonwealth Office event tomorrow in Bristol entitled Smart Sustainable Cities. Smart Sustainable Cities is a UK Foreign and Commonwealth Office initiative, bringing together selected European and UK cities, to showcase UK best practice and provide a two-way opportunity for knowledge sharing and networking. The two 2-day Bristol workshop will provide an opportunity for selected UK businesses to showcase best practice to European city senior decision-making officials, focused on implementable smart and sustainable solutions, offering an ongoing platform for exchange of innovation, knowledge and experience.